Fixed star Mizar, Zeta Ursae Majoris, forms a double star with Alcor (15°52′ Virgo). 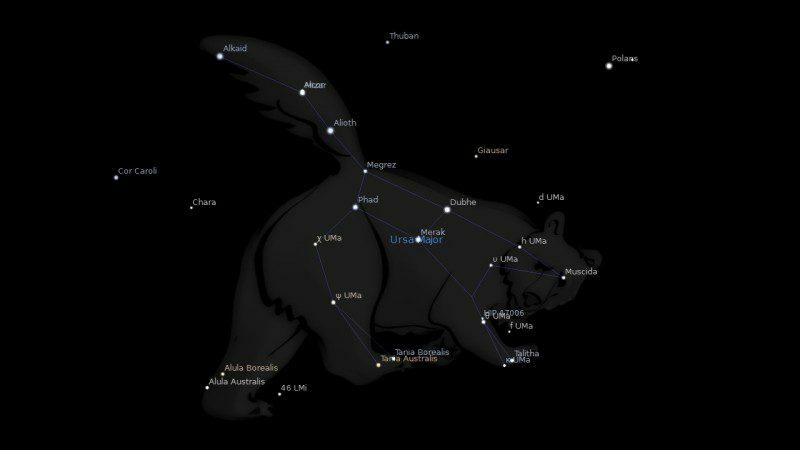 Mizar is located in the Tail of the Big Bear, Ursa Major constellation. This brilliant white and pale emerald star also appears in the handle of the Big Dipper asterism. Mizar is an Arabic word meaning waistband or girdle. In Hindu astronomy, Mizar is called Vasistha and Alcor is called Arundhati. As a married couple, they symbolize marriage. In some Hindu communities, priests conducting a wedding ceremony point these stars as a symbol of the closeness marriage brings to a couple. In Japanese mythology, Alcor is known as the lifespan star. It was believed that one who could not see this star would pass away by year’s end. Mizar means a girdle or waistband. There is no traceable reason for this name appearing here, and it is almost certainly an early western misspelling of Mirza, Prince, for the next star along signifies a man of authority. In both cases, of course, the titles come from a culture which saw other than a bear in these stars, or did not allow the Bear this long tail. 2. Fixed Stars and Their Interpretation, Elsbeth Ebertin, 1928, p.55. 3. Fixed Stars and Judicial Astrology, George Noonan, 1990, p.5. 4. The Living Stars, Dr Eric Morse, 1988, p.147. Dear Jamie! I have a question relating the fixed stars. Namely, I came across a site for the calculation of my fixed star parans. But, as a result, I have only the stars expressed in minutes, e.g. 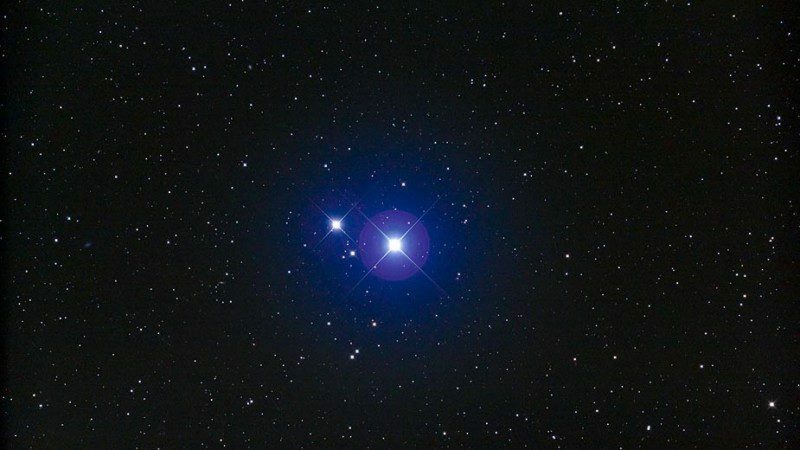 I have Reguls on angles at moment, (Regulus – On Nadir orb 02 mins 33 secs) and all other stars expressed in the same way. How do I know if they conjunct my natal planets so that I could read your interpretations? Many many thanks! Only one astrologer uses parans. To use them as I have listed, by degree the zodiac, simply look at the planets in your chart and scan down the list of fixed stars. Get your free chart here. I found Dwight D. Eisenhower had Mizar rising conjunct his Mars in Virgo. He certainly was involved with a mass catastrophe when he was placed in the role of commanding officer during the operations involving D Day. Eke continued to be of great service to his fellow man throughout his lifetime.